I am come a light into the world, that whosoever believeth on me should not abide in darkness. John 12:46. My favorite of all the apostles is John, “the disciple whom Jesus loved.” Some people give him a bad rap for calling himself that, saying it’s arrogant. I disagree. I don’t believe this title for himself is any indication he thought he was the only one. Rather, I believe it reveals how certain he was that Jesus loved him and everyone else, including you. My memoir, My Name Is Beloved, is so titled for the same reason. I don’t believe I’m the only one who is beloved by God. I know that I am not and I want others like me to know they are beloved, too. I love John’s Gospel, his three epistles, and Revelation. One of my favorite passages is from 1 John 4:7-21. It’s all about God’s love for all of His children and how we should love each other in the same way. There’s not a hint of arrogance here. He reminds his readers that he was an eye witness to the life, death, and resurrection of Jesus. That means he writes with truth and authority of what he knows to be true. He clearly sets out the evidence for Jesus’ divinity. Especially in the Gospel, where we see the “I am” statements of Jesus. He focuses, particularly in the epistles, on the love of God. In fact, he says “God is love” twice in 1 John 4. He reveals the power and purpose of the Holy Spirit in the lives of believers. It is by the Spirit that we overcome sin and know we are God’s children. He provides believers with an assurance of salvation. John here provides assurance that the fact that the believer sometimes sins does not negate their salvation, because Jesus is faithful and forgives our sin. One dictionary definition of assurance is “full confidence; freedom from doubt; certainty.” Throughout this epistle, John provides further assurance that those who trust in Jesus can be certain of their salvation even though they are not sinless and perfect. because your sins have been forgiven on account of his name. None of us is perfect and completely sinless. If we were, we would not need a savior. But we do need Him, and we thrive best knowing that He is faithful in His promise of salvation for those who believe. Now don’t get me wrong. John does not advocate living a life in which we sin willy-nilly simply because we know we can be forgiven. Those who truly believe in Jesus, and trust in Him for salvation, will desire to keep God’s commands. His Spirit living in our hearts will help us to overcome the temptations of the world and to love as He has commanded. Are you struggling today with worries that you are not good enough, that you’ve sinned too much, or that God will give up on you and you will lose your salvation? Meditate on John’s words, inspired by God, and know that these worries are unfounded. It is the struggle itself that proves you are alive in Christ. Remember, God is faithful in His promises. He has promised eternal life to all who believe in Jesus and allow His love to live in them. He has not hidden the truth from us, but has made Himself known through His Son and the witness of the apostles so that we can be assured of our place in His Kingdom. Linda L. Kruschke is the author of My Name Is Beloved, winner of the Unpublished Memoir category of the Oregon Christian Writers Cascade Writing Contest, as well as self-published author of two poetry books. She is a wife, mother, active member of her church, and former Bible Study Fellowship leader. After struggling through years of major clinical depression and finding God’s healing grace, she is now a fearless follower of Christ, living in the assurance of her salvation and God’s love. She blogs at Another Fearless Year (http://AnotherFearlessYear.net). 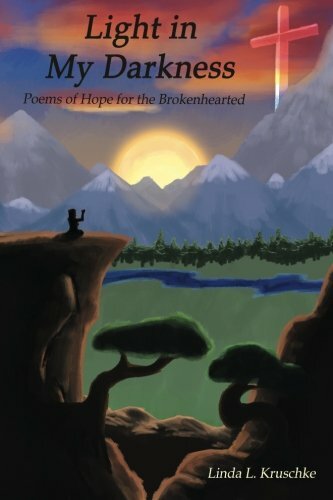 I have been so blessed to have Bryan Lowe allow me to share my thoughts and poetry here at Broken Believers. It’s a blessing I never would have known if not for the many years I spent suffering from major clinical depression. I love how God uses our suffering to shower us with blessings. I am especially excited about this book because my son created the cover for me with original art. I shared with him my idea for the cover, read him a few of the poems, and he took it from there. “Never underestimate the sheer power of poetry. It is formidable. Linda knows this, and she has compiled this book from direct experience. And that is remarkable. I hope you’ll read this with an inquisitive heart and an eager mind. Good poetry should carry a weight of truth wherever it might lead. All that it requires is all of you. Poetry requires your full attention, at least to appreciate it fully. 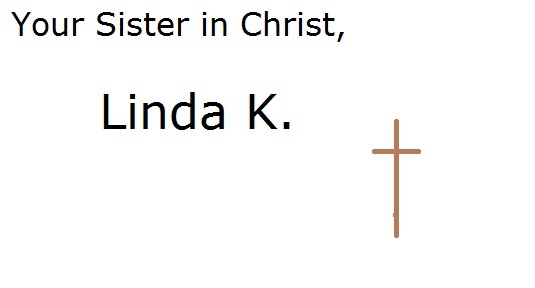 Linda honors God in what she has written. I know her intention is to bring Him glory, and she does it fearlessly. What you read here comes from life’s furnace— things will be imparted through these poems. I pray the Lord’s blessing on this little book. And he’s right—I would appreciate it. But even more importantly, I would love to know that those who read my poetry are blessed to find God’s Light in their darkness.